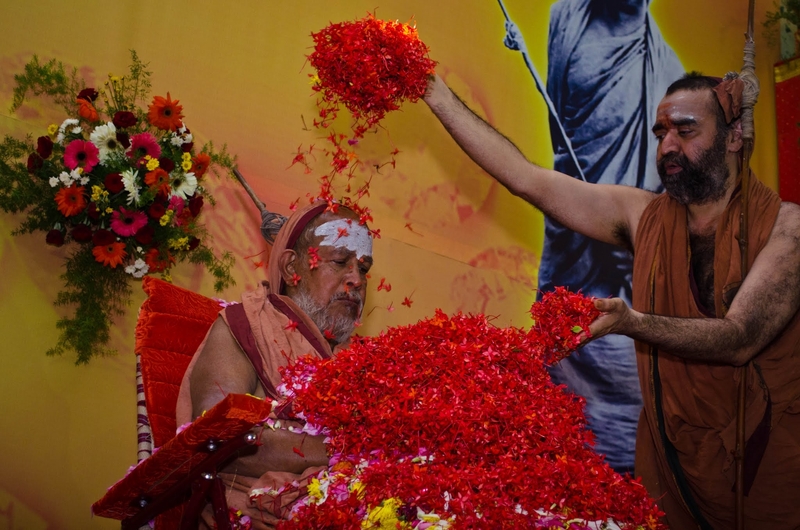 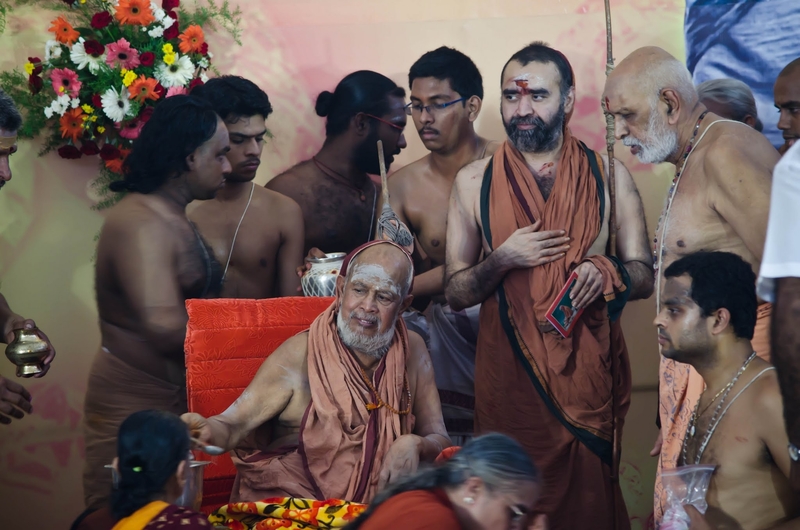 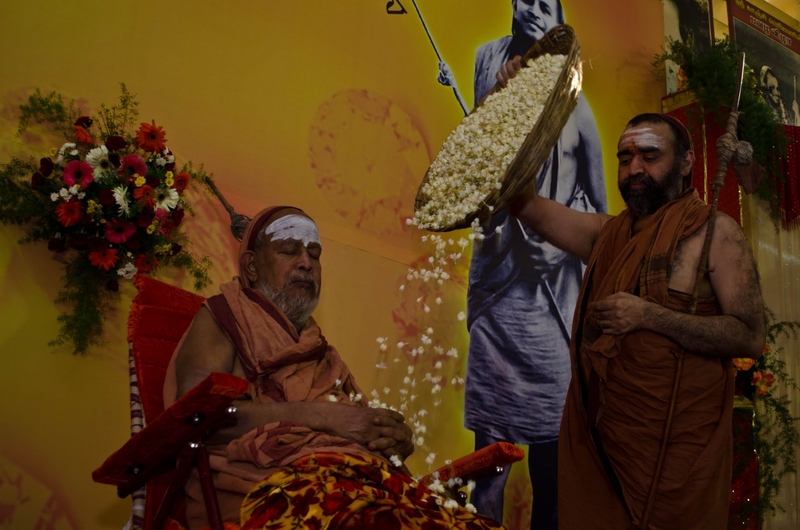 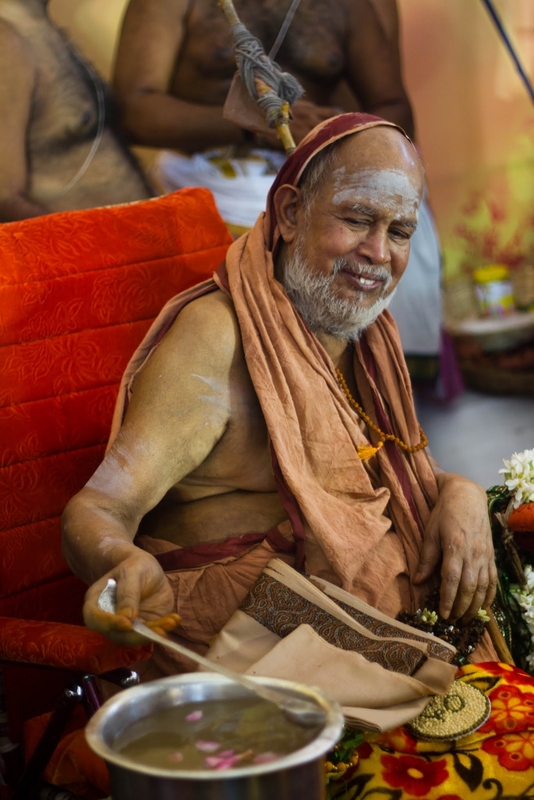 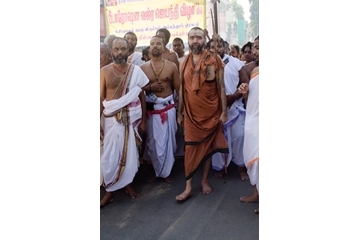 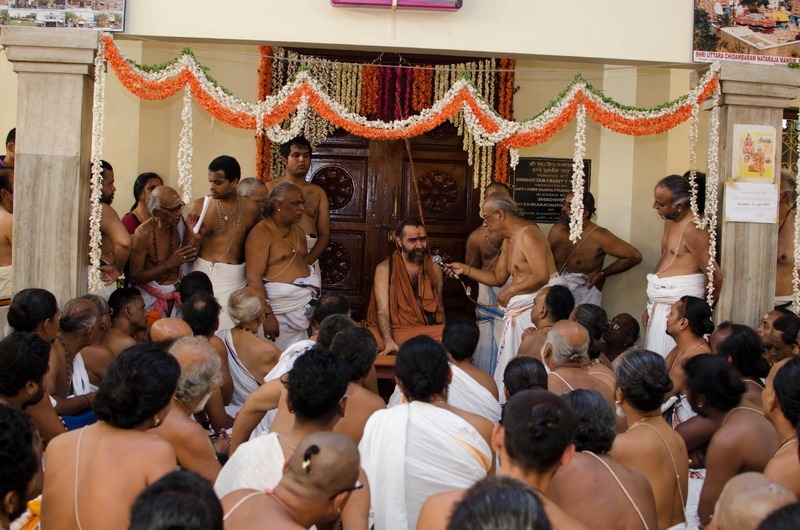 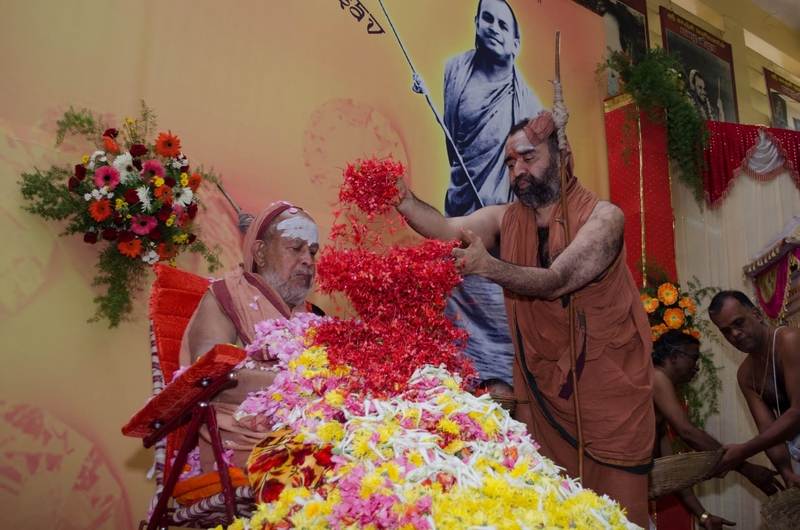 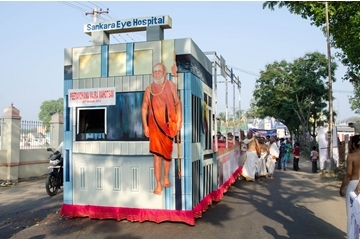 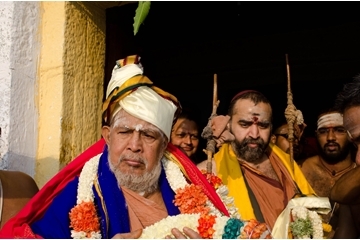 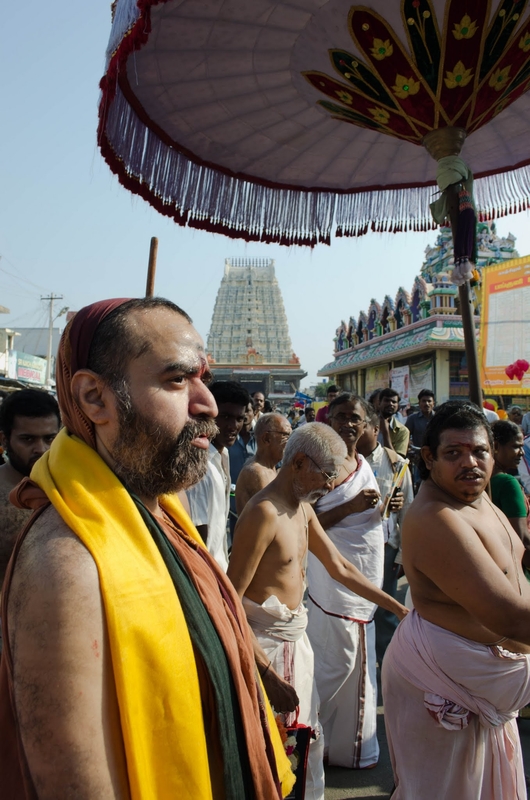 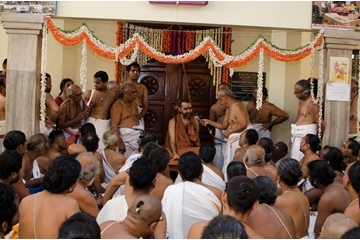 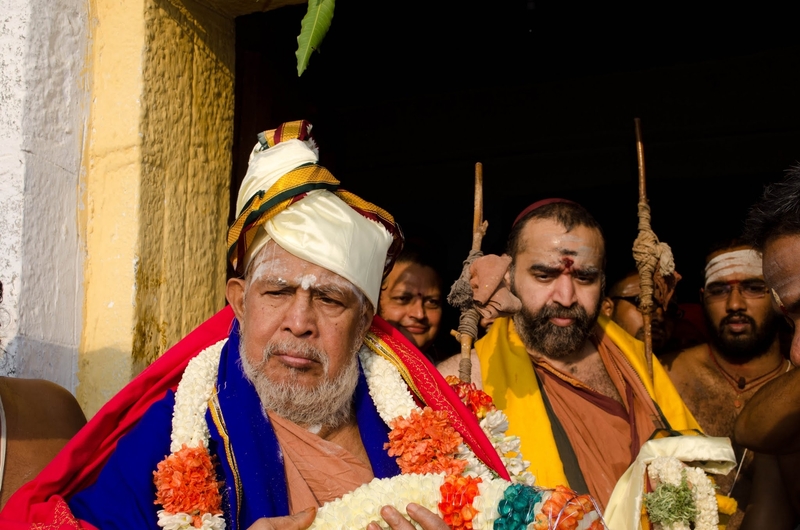 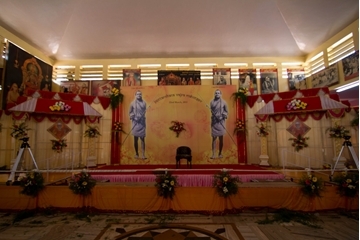 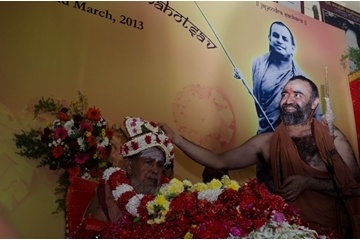 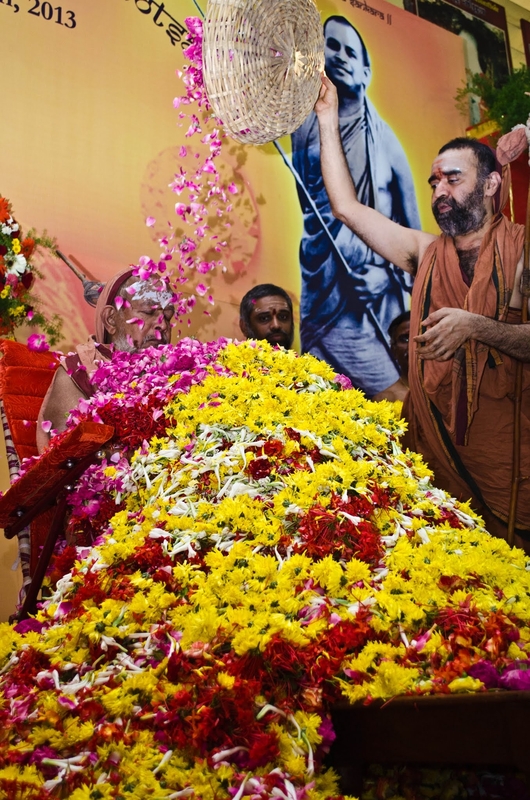 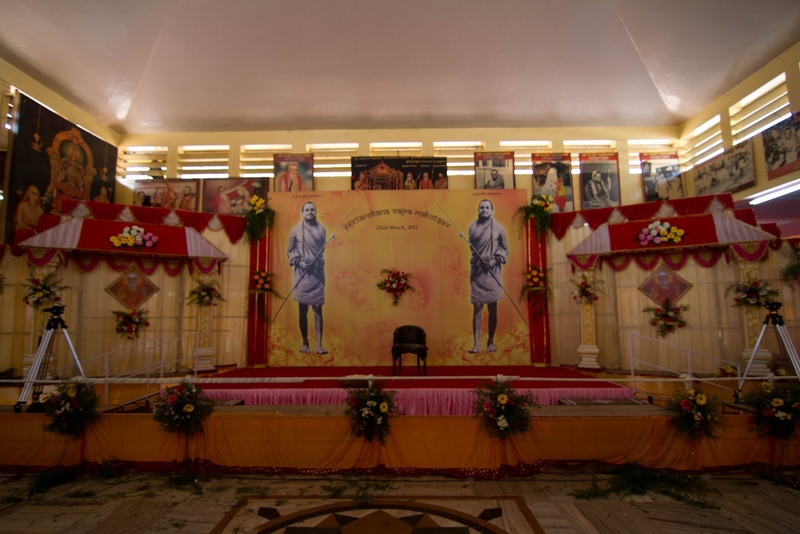 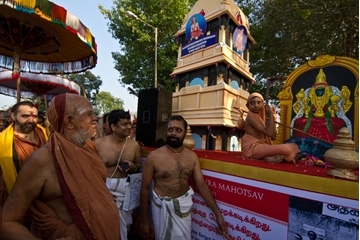 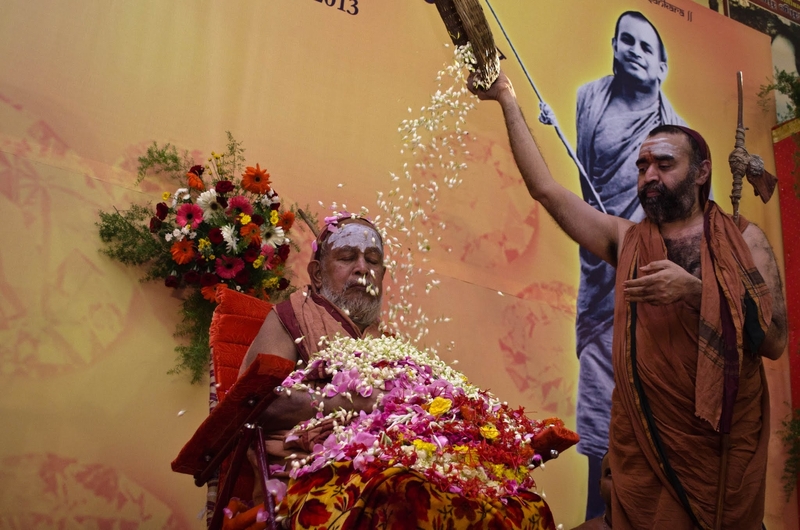 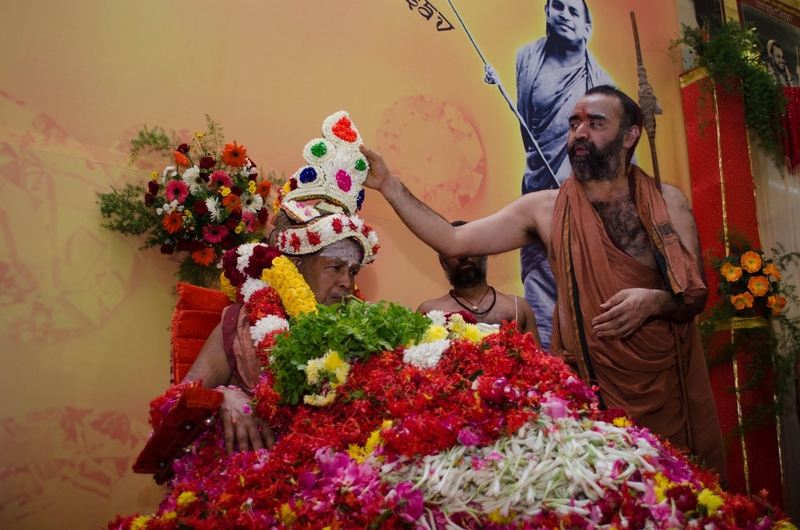 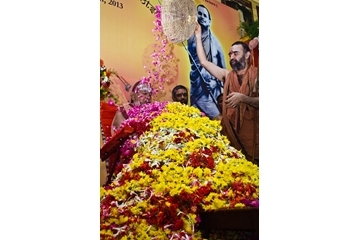 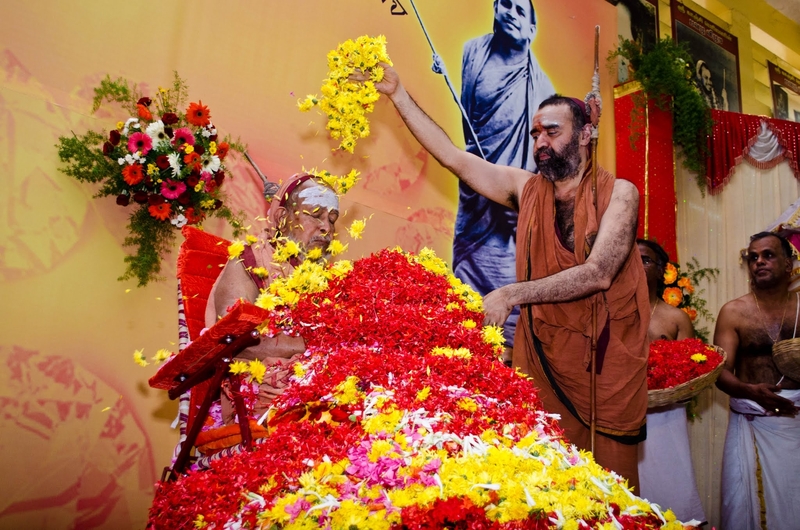 The Peetarohana Jayanthi Mahotsavam of His Holiness Pujyasri Jayendra Saraswathi Shankaracharya Swamiji was celebrated in Kanchipuram on 23 March 2013. The Mahotsavam began early in the morning with the performance of Ganapati Homam. 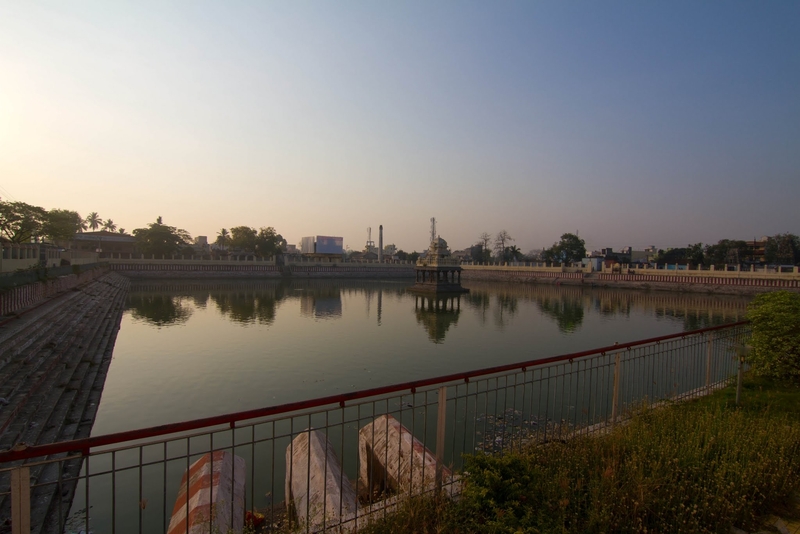 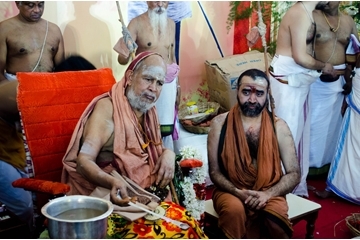 His Holiness Pujyasri Jayendra Saraswathi Shankaracharya Swamiji along with His Holiness Pujyasri Sankara Vijayendra Saraswathi Shankaracharya Swamiji visited the Kasi Viswanatha swamy temple located on the banks of the Sarvateertham tank. 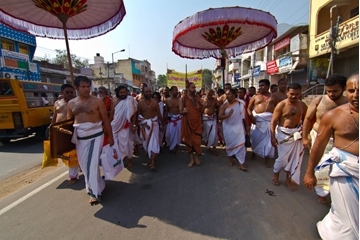 After receiving temple honours there, His Holiness came to Srimatam in a procession that saw the participation of a large number of devotees. 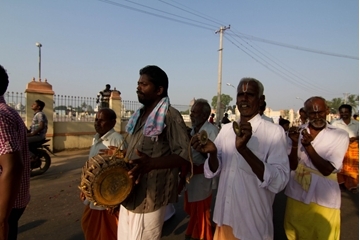 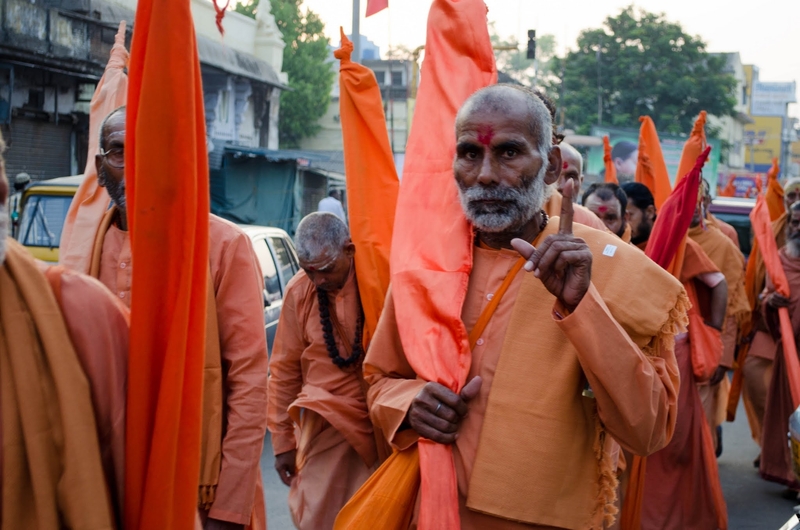 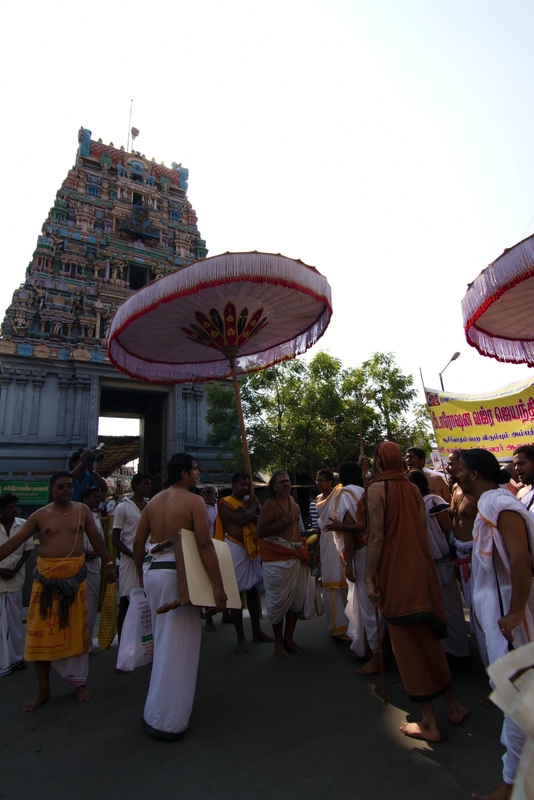 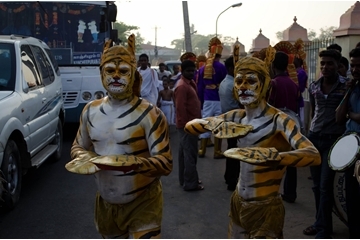 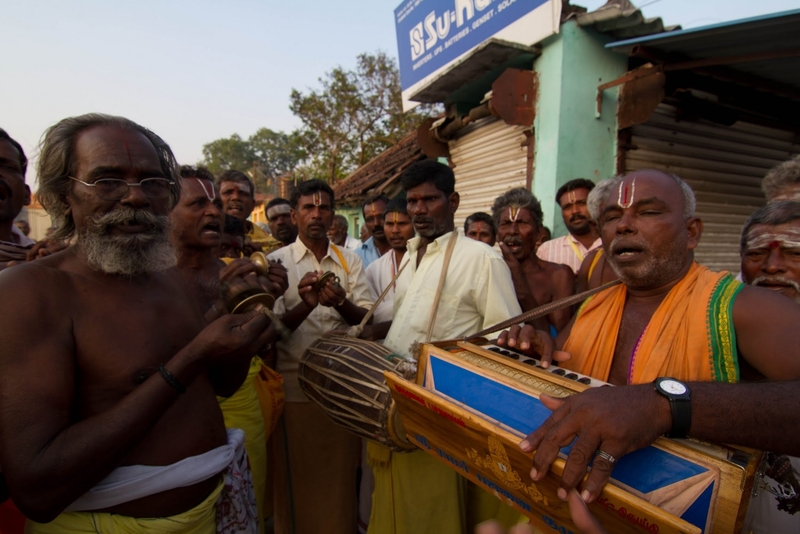 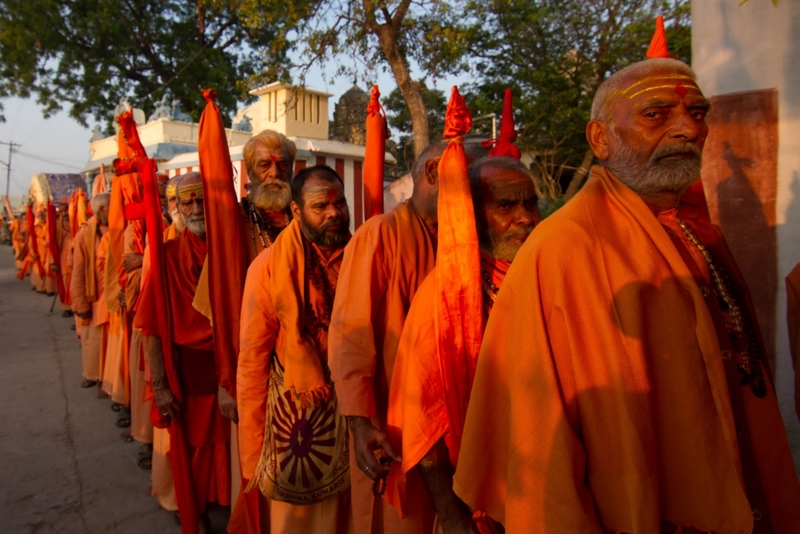 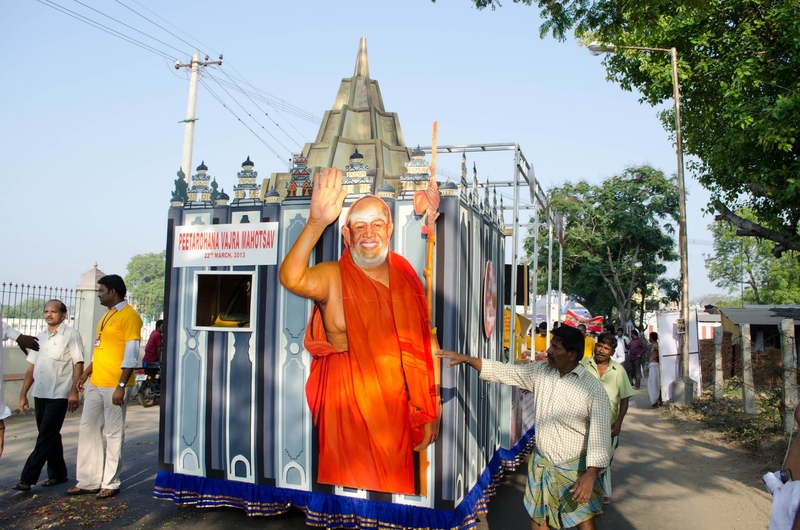 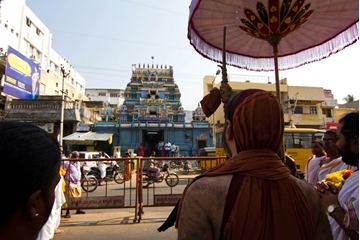 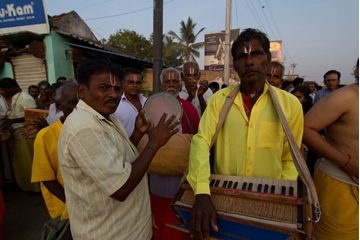 The procession comprised of Mangala isai, Vedic pandits chanting mantras, women rendering soundarya lahari stotra parayanam, devotees chanting vishnu Sahasranama Parayanam, Bhajan groups especially from village temples, and folk art. 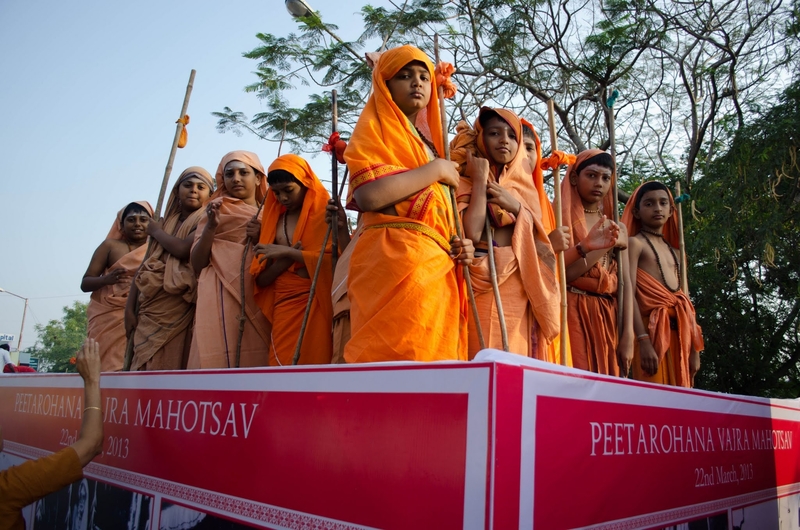 Children of Shankara schools and Shankara college took part in the procession and performed in the beautiful tableaux that were on display. 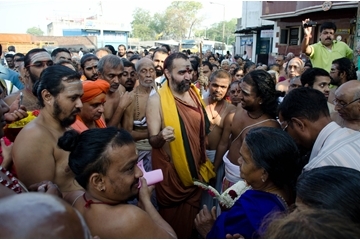 Members of Jana Kalyan participated. 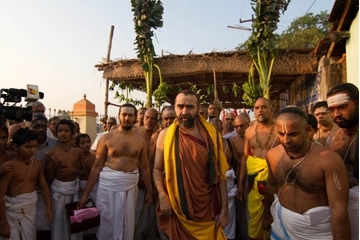 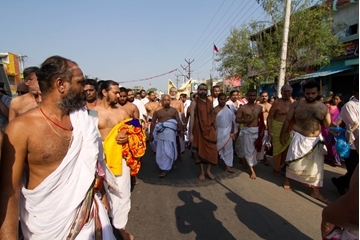 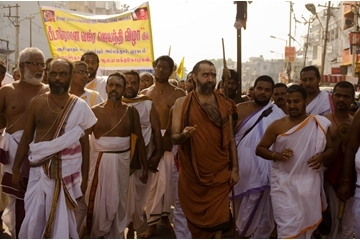 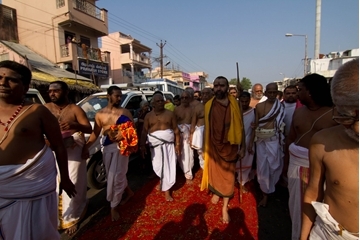 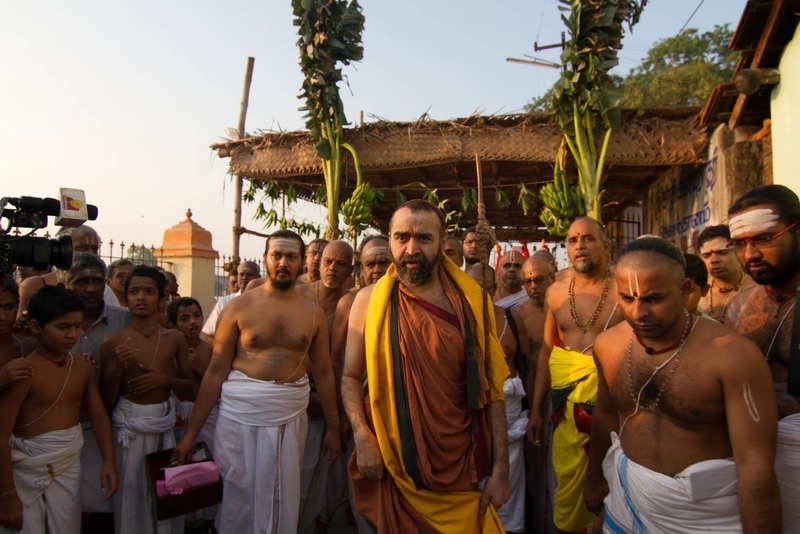 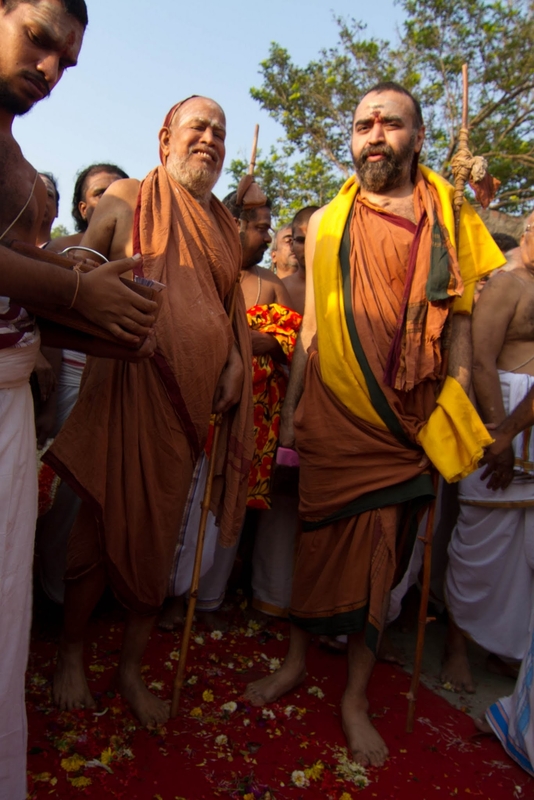 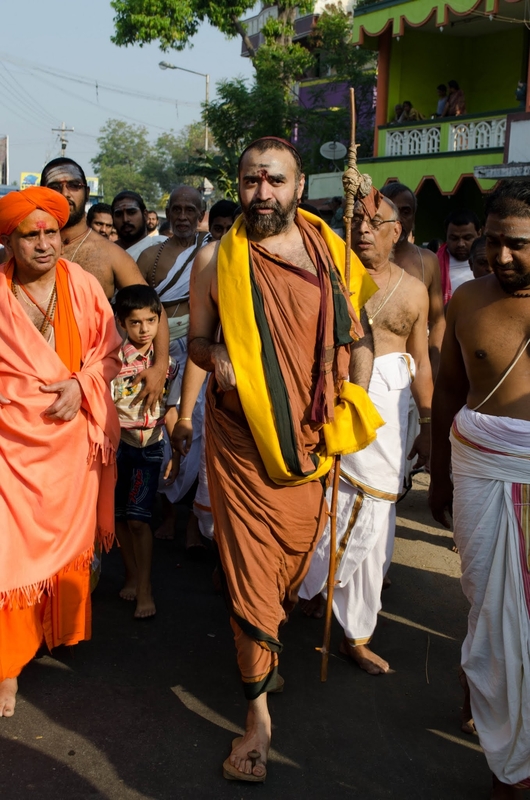 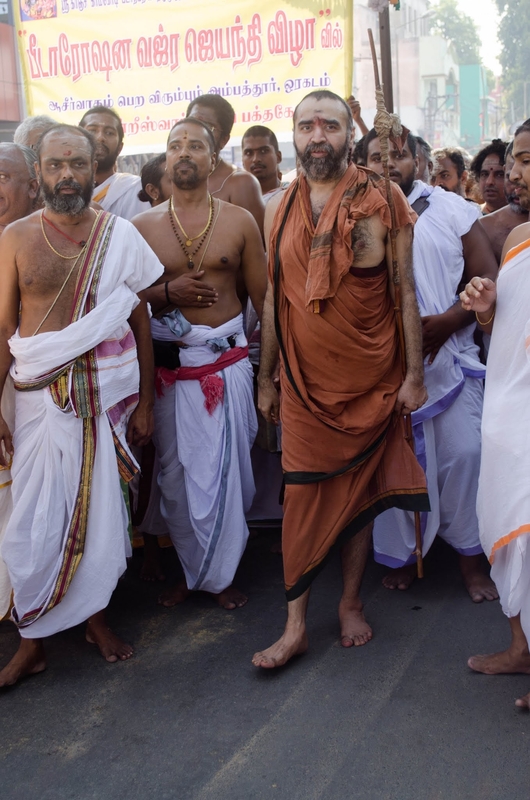 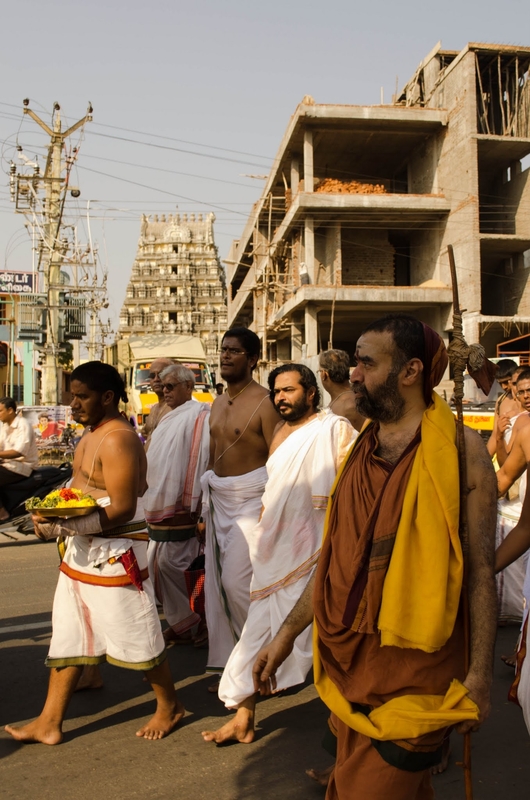 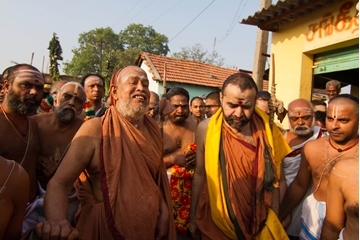 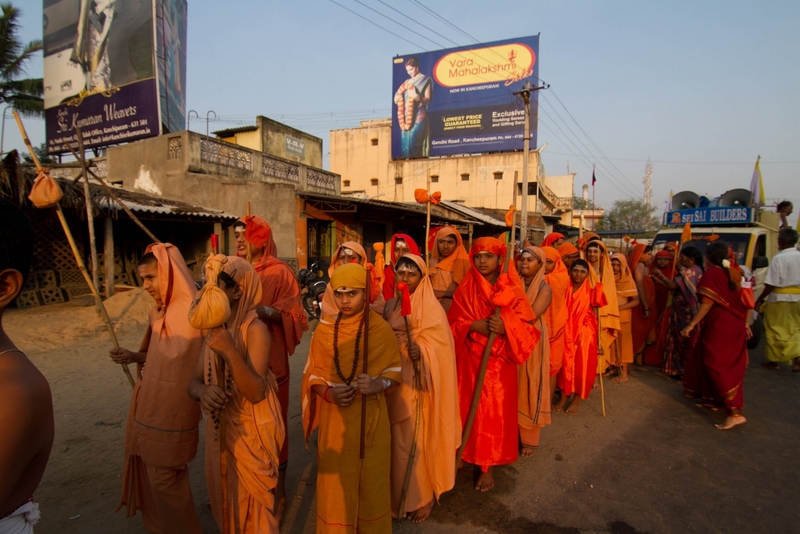 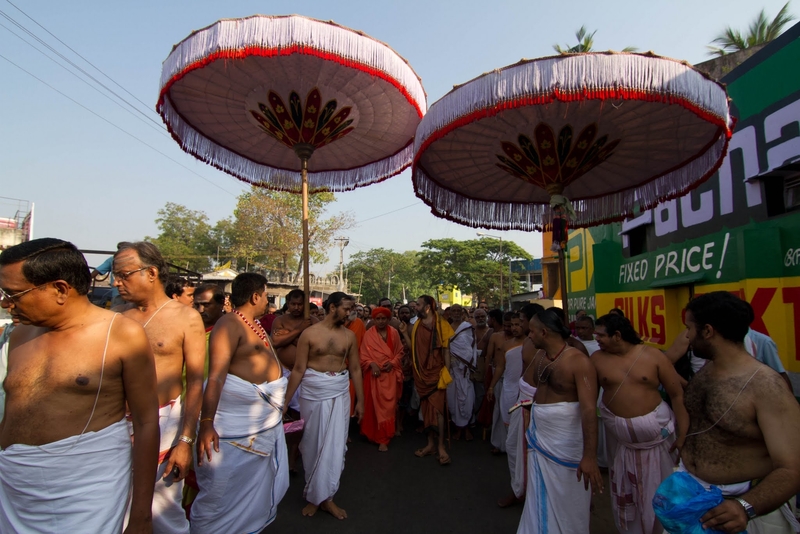 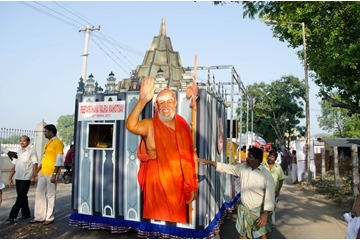 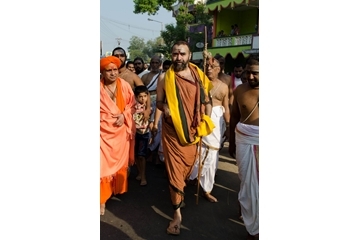 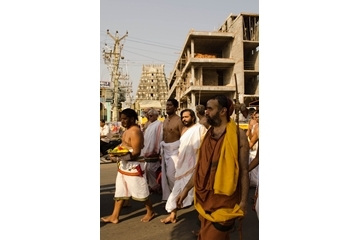 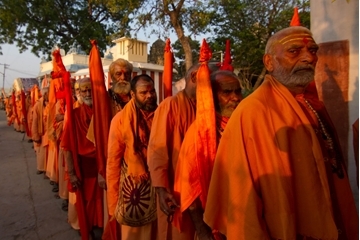 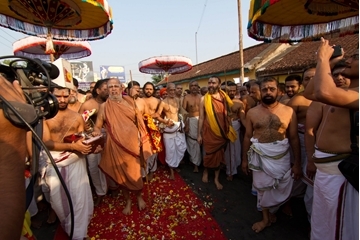 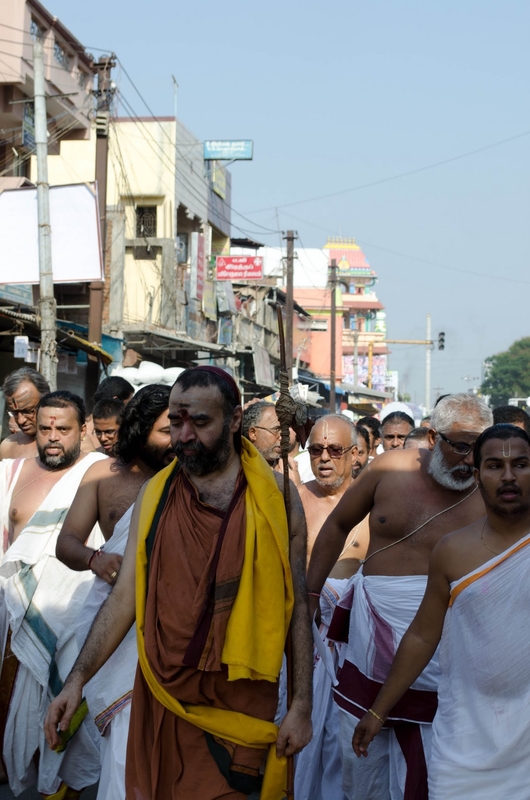 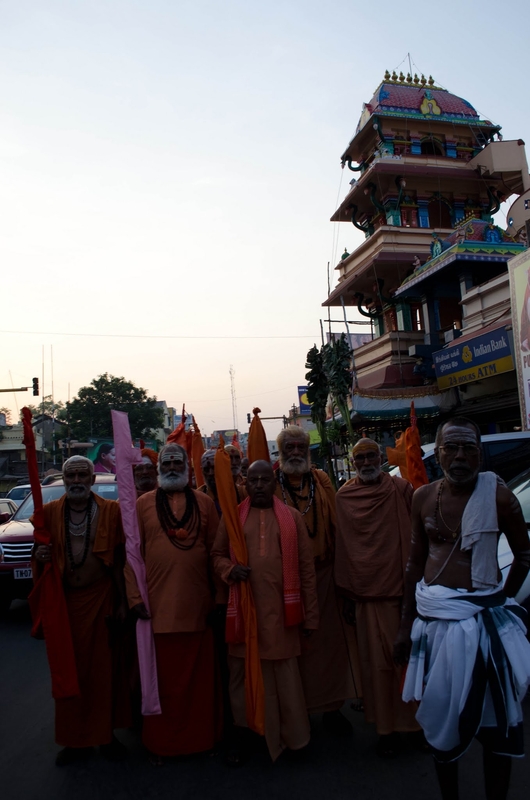 The procession, led by His Holiness Pujyasri Shankara Vijayendra Saraswathi Shankaracharya Swamiji, went through the four Raja Veedhis before reaching Srimatam. Prasadams from various temples were offered to His Holiness. 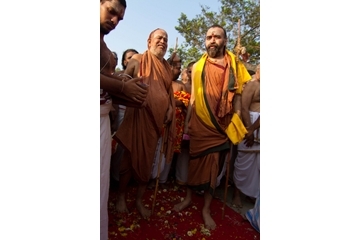 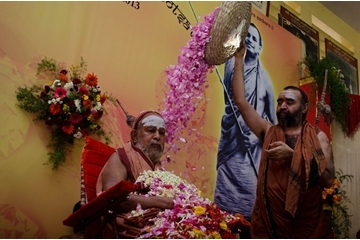 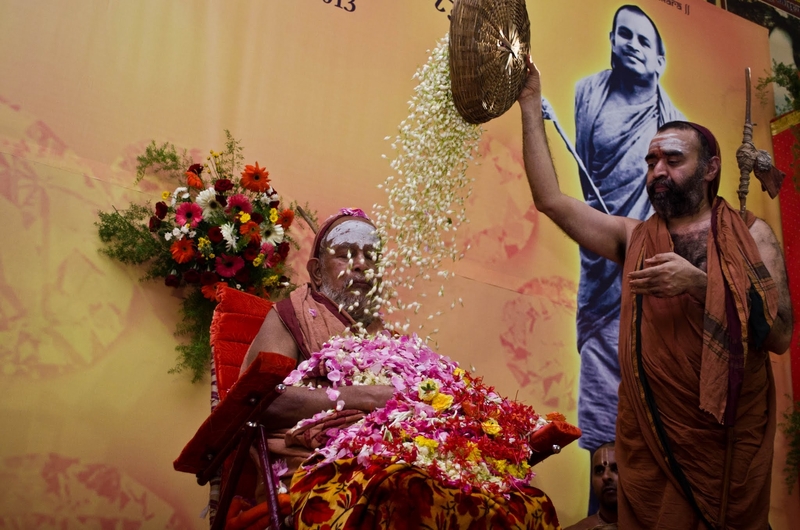 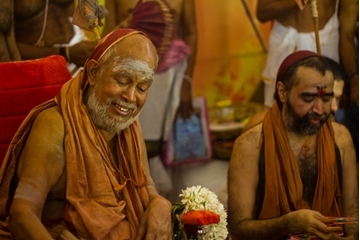 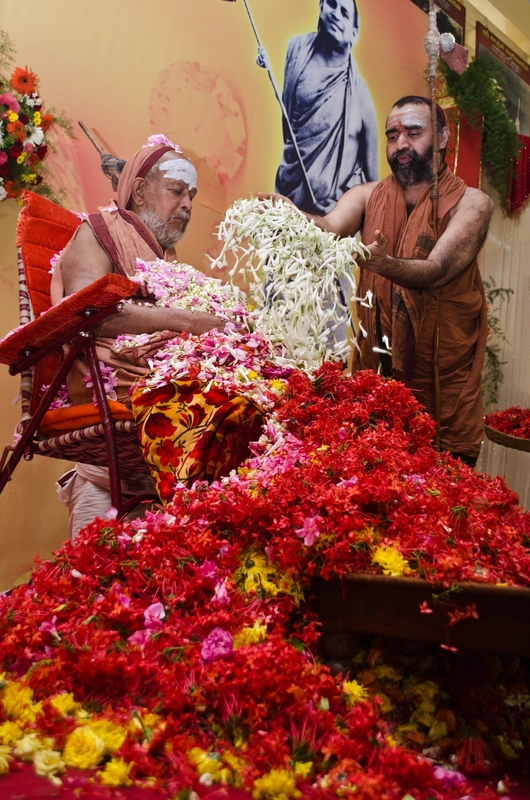 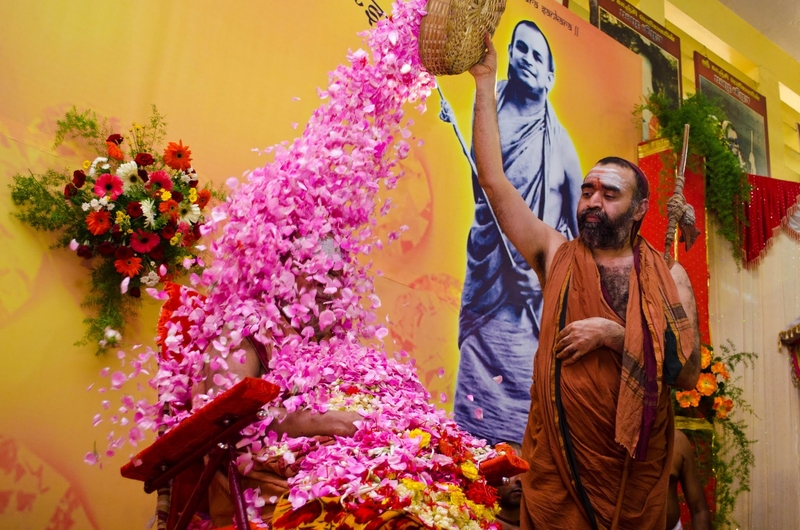 His Holiness Pujyasri Shankara Vijayendra Saraswathi Shankaracharya Swamiji performed Pushpabhishekam to His Holiness Pujyasri Jayendra Saraswathi Shankaracharya Swamiji. 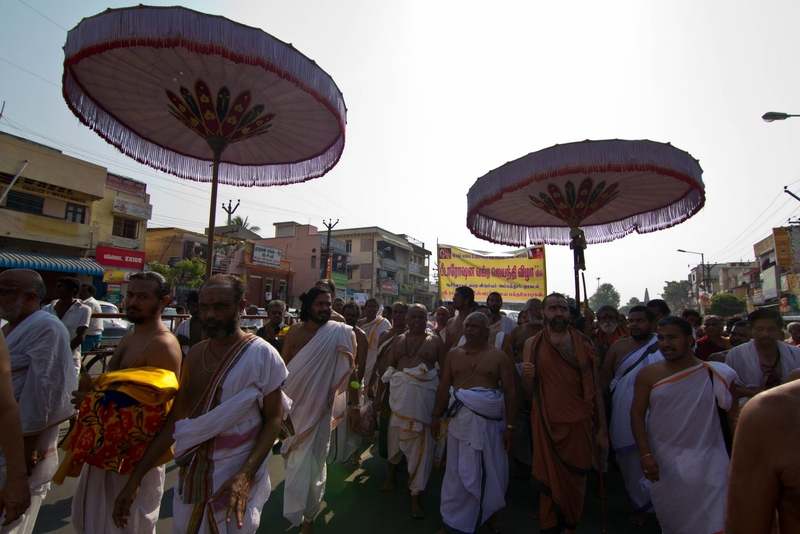 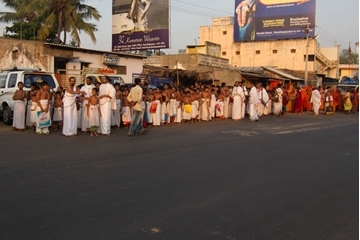 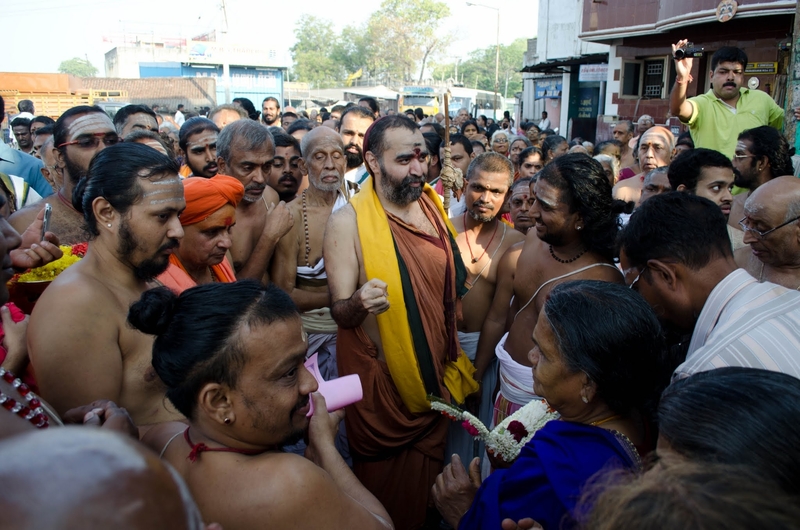 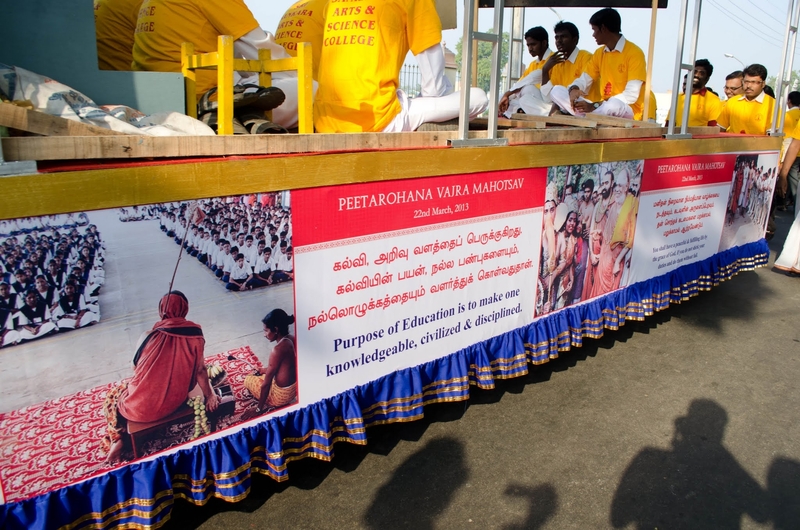 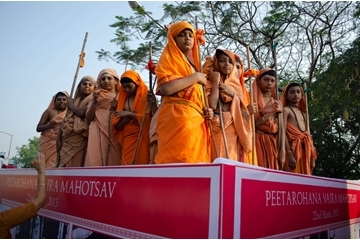 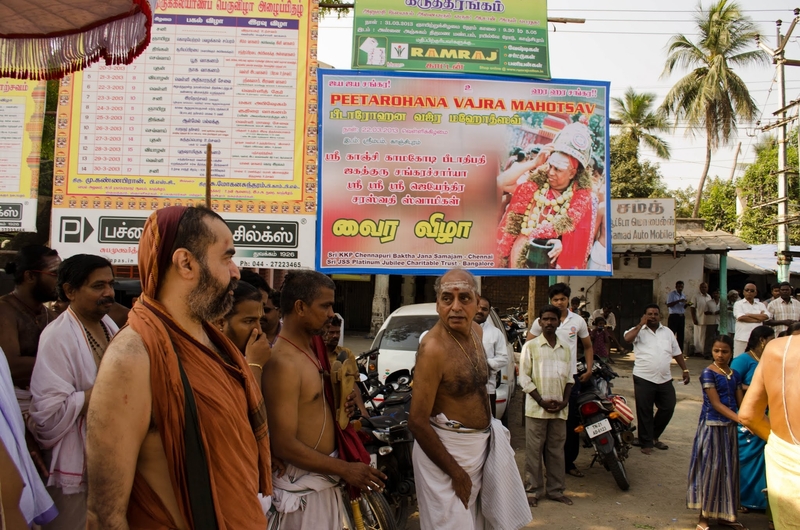 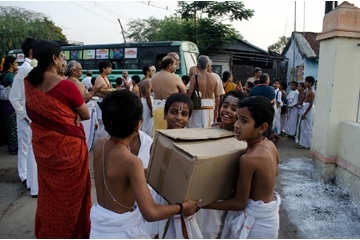 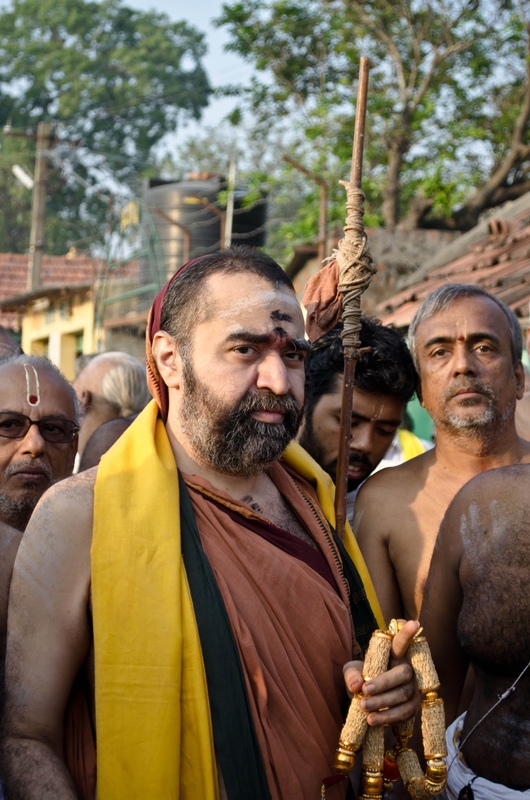 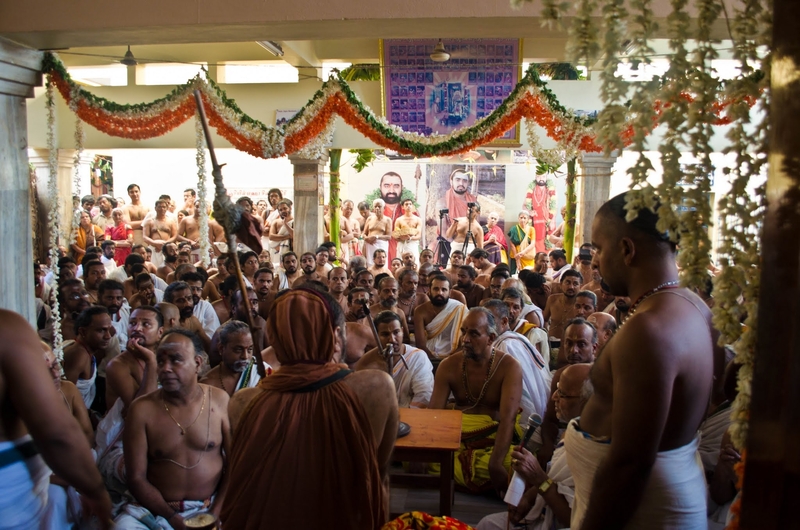 Devotees from far and wide participated in the Mahotsavam and received the blessings of Pujyasri Acharya Swamijis. 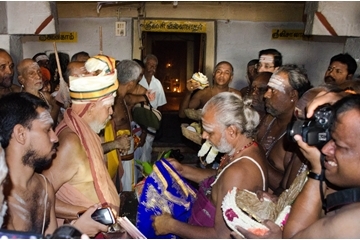 Prasadams from various temples were offered to His Holiness. In the evening, Shri Unnikrishnan accompanied by Shri Delhi Sunderrajan on Violin, Sri Tiruvarur Bhaktavatsalam on Mridangam, Sri Master G.S. 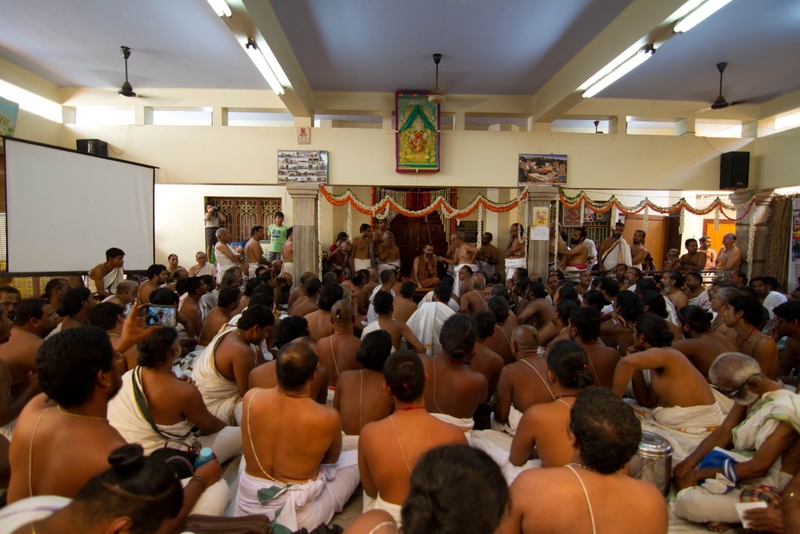 Sundaram on Mridangam and Sri E.M. Subramaniam on Ghatam performed a carnatic music concert in the brindavan hall. 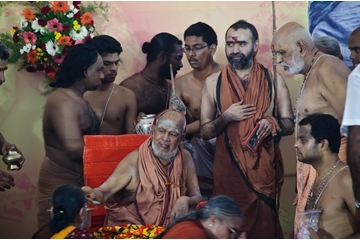 A sahasra Deepa Puja was performed at the Kamakshi temple in the evening.